Habitat for Humanity of Greater Centre County (HFHGCC) is one of 1500 independent affiliates of Habitat for Humanity International (HFHI). It is governed by its own local Board of Directors and has a staff of five employees. 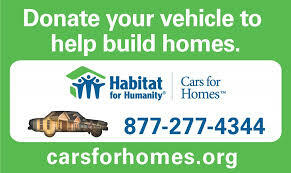 Habitat for Humanity of Greater Centre County is a nonprofit, ecumenical Christian housing ministry. Habitat welcomes all people -- regardless of race, religion, ethnicity or any other difference -- to build simple, decent, affordable houses with those who lack adequate shelter. Houses are sold through a no-profit, no-interest mortgage. Individuals, corporations, faith groups and others provide vital financial support. Homeowners and volunteers build the houses themselves, under trained supervision.